In this March 4, 2015, file photo, former Cardinal Theodore Edgar McCarrick speaks during a memorial service in South Bend, Ind. The Vatican announced Saturday that it defrocked former Cardinal Theodore McCarrick after an investigation into years-old sexual abuse allegations against him were found credible. McCarrick cannot appeal the punishment, meaning that he will be unable to celebrate Mass or other sacraments for the rest of his life, reported NBC News. McCarrick, the former Catholic archbishop of Washington, D.C., and Newark, New Jersey, has been accused of sexually abusing young seminarians and teenage boys, including the first child he baptized, who claims McCarrick abused him for almost 20 years beginning at age 11. The statute of limitations will likely prevent McCarrick from facing charges, according to NBC News. 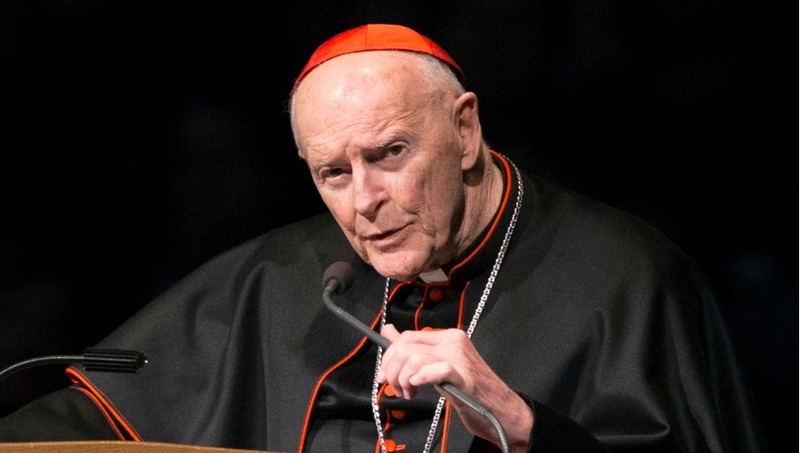 McCarrick had already resigned from the College of Cardinals in July. Pope Francis had ordered the 88-year-old living in Kansas to observe a life of prayer and penance in seclusion, according to NBC News. The Vatican’s announcement that McCarrick has been defrocked comes days before a high-profile summit to discuss the Catholic Church’s sexual abuse crisis at the Vatican from Feb. 21 to 24. Many had seen Saturday’s announcement coming. Anonymous Vatican sources said in January that McCarrick’s defrocking was certain. Also entangled in the McCarrick scandal is Cardinal Donald Wuerl, who said in January he “forgot” about a former priest’s sexual abuse allegation against McCarrick. Wuerl succeeded McCarrick as archbishop of Washington, D.C.